Discussion in 'Kansas Race Tracks' started by Race Results, Apr 16, 2019. TAX DAY SALE! Today from 12PM-4PM CST, we are having a sale on our NHRA Menards #HeartlandNats presented by Minties tickets! 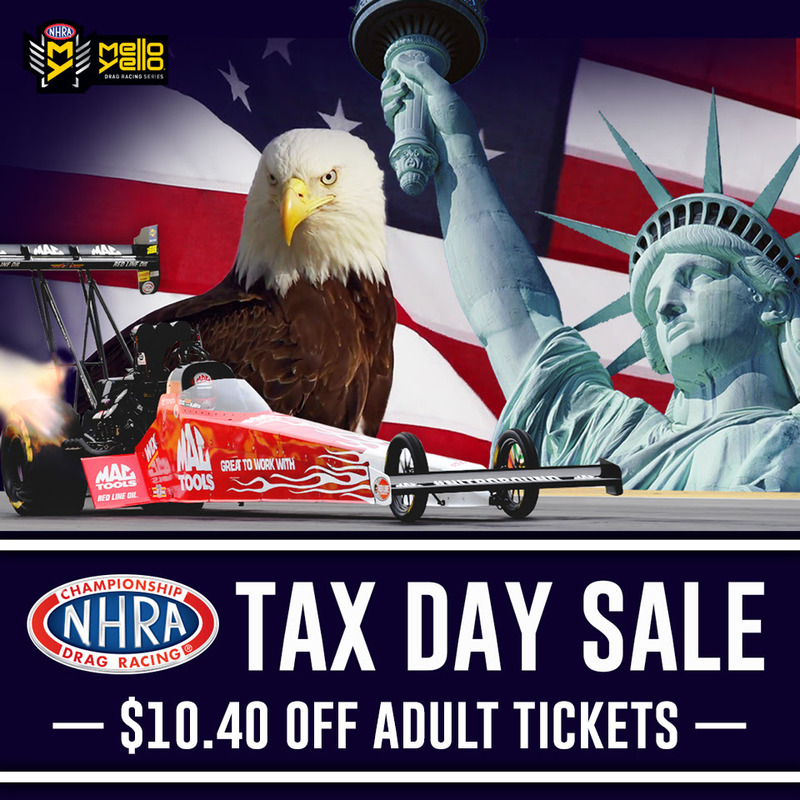 The discount on race tickets is valid online at NHRA.com with the promo code TAXTK or via the link provided below. A maximum of eight (8) discounts may be redeemed per transaction. Not valid on Blaine Johnson VIP, Full-Event, Multi-Day or junior/child race tickets. Not valid with any other offer or previously purchased tickets. We are now on Twitter and Instagram! Please go follow us on Twitter at @HeartlandMSP and Instagram at @HeartlandMotorsportsPark! The links are also below.